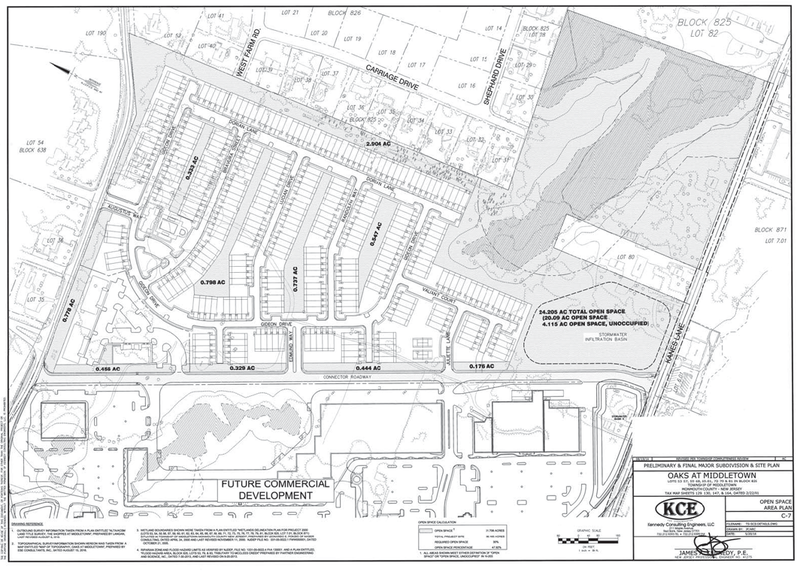 July 2015, Village 35 a planned 118 acre Retail and Residential development located on Route 35 at the Spirits liquor store site between Kanes Lane, Kings Highway East and Carriage Drive. 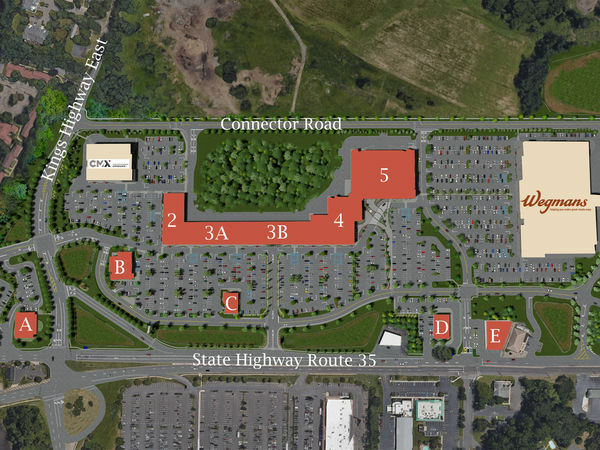 National Realty Development Corporation (NRDC) is proposing 340,000 sq ft of Retail space with a dine-in Movie Theater, and Wegmans, a "destination" grocer whose size exceeds the General Development Plan approved for this site by 2.5 times. Toll Bros. has proposed 350 densely packed townhouses (70 are affordable housing units). Toll Brothers has withdrawn their application but plan to re-submit after the NRDC hearing. Collectively the proposal is larger than the Monmouth Mall. February 15, 2017, the NRDC (commercial) application will be heard separately from the Toll Bros. residential. application which was withdrawn in Dec 2016. Toll plans to refile regardless of the NRDC outcome. 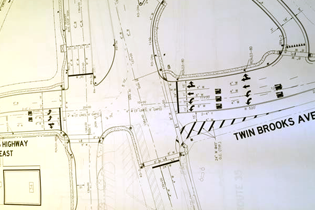 For this reason, details of Toll Bros.' withdrawn proposal remains posted here. They will be back. Middletown residents need to know the enormity of the collective development. May 2017, the third planning board meeting in a row is cancelled due to NRDC changing their plans, again. 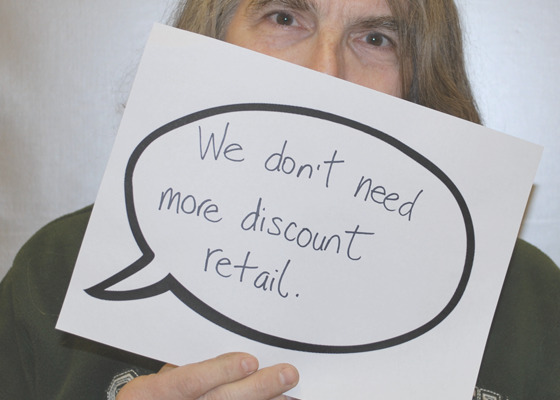 The new plans NRDC will be seeking approval for include two confirmed retailers: Wegmans, a "destination" grocer and CMX Cinema, a dine-in movie theater that typically serves alcohol and whose last showing is at 11:00 PM. Also included, stand alone fast-food dining in the parking lot (A - E), and a block of retail space (2-5), 20 stores are proposed. December 2017, The Middletown Planning Board votes that the Village 35 site “fit the criteria” to be considered an Area in Need of Redevelopment. December 2017, The Township Committee approves Village 35 as an Area In Need of Redevelopment. January 2018, Minding Middletown, LLC, represented by legal council, challenges the Township “Redevelopment” designation with a Prerogative Writs lawsuit. NRDC and Mountain Hill are also named in the lawsuit. We are suing the Town to have a voice in the process. Also, because The area in need of redevelopment designation enables the Township and the developers to negotiate PILOT (Payment in Lieu Of Taxes) agreements, which are beneficial to both, while financially harmful to residents. 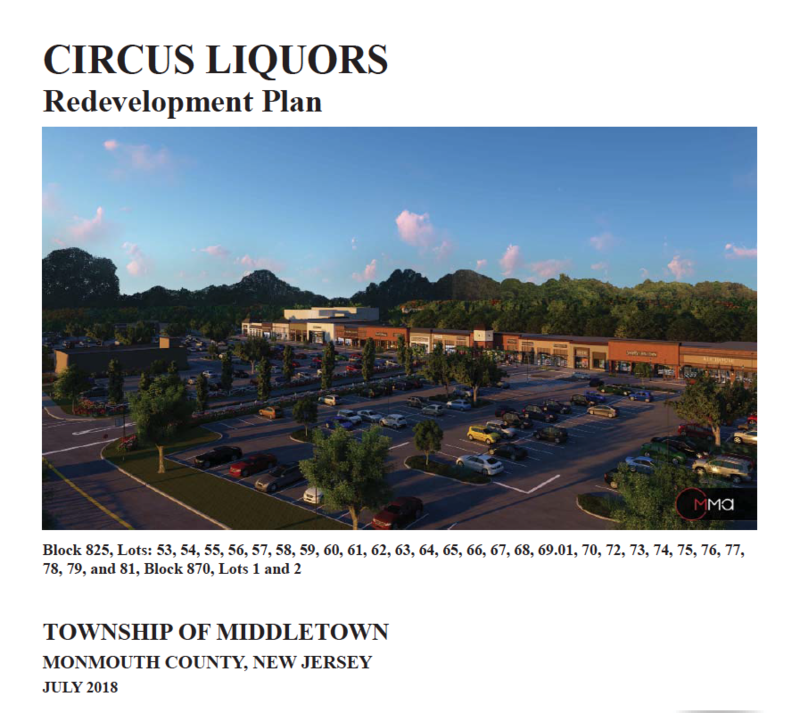 July 2018, The Township Committee announced the first introduction of Proposed Ordinance 2018-3232 to adopt the Circus Liquors Redevelopment Plan, formerly known as Village 35, for the site. The new plan is almost identical to the Village 35 plan. August 2018, The Planning Board approves the Proposed Ordinance 2018-3232 to adopt the Circus Liquors Redevelopment Plan. August 2018, The Township Committee adopts the Circus Liquors Redevelopment Plan Ordinance in spite of a major turnout at the Committee meeting with objections from residents and experts, including: Clean Water Action, Sierra Club, Monmouth Conservation Foundation, Middletown Open Space Committee, Environmental scientists and engineers, Middletown's Environmental Commission, a representative from Old First Church discussed the impact on the Historical District and others. The Committee could have restricted the Plan, they did not. This meeting was the action of the Township Committee to meet the absolute minimum standards required by law, a public hearing prior to adoption. December 2018, the Planning Board subdivides the Circus Liquors Redevelopment plan. December 2018, the Township Committee presents Town Hall Municipal Complex contracts. The "public/privately financed" project is budgeted at $100 million. No reason was given for the why a project of this magnitude was needed. January 2019, our group, Minding Middletown, wins the first round of its legal challenge against Middletown. 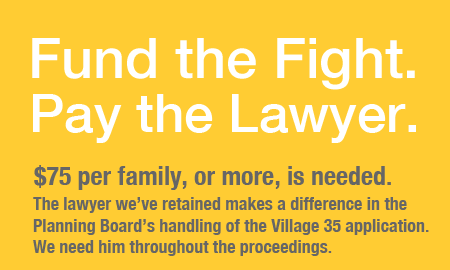 The Judge ruled the Planning Board remains a party to the lawsuit in which Minding Middletown is challenging the designation of the Village 35 site as an area in need of redevelopment. In other words, the Planning Board is accountable for their actions and inactions. March 2019, the Planning Board begins site plan review of the commercial portion of the Circus Redevelopment Plan. EARLY TIMELINE. May 2016, Asbury Park Press article. 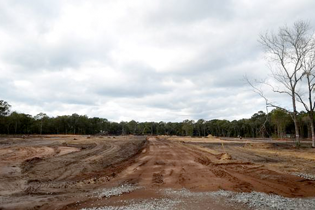 NRDC's new plan was developed with Middletown Township officials. It exceeds all General Development Plan (GDP) approval conditions which where in place BEFORE the Township Officials pushed through the "Area In Need" of Redevelopment designation. Credit: Caption above is from the Village 35 Planners June 30, 2017 review. ​NRDC requests major changes to the commercial application under the guise of a "hardship.." The new plan consists of a building with 151,955 sq. ft. of retail space, 420-seat 26,536 sq. ft. movie theater, and now a 130,000 sq. ft. Wegman’s grocery, plus other free standing buildings, that may include another BIG Box Store. The Township allowed this before the site was designated a an area in need of Redevlopment. The Oaks At Middletown. Residential. Toll Brothers. Click to enlarge. Shoppes at Middletown. Commercial. NRDC. Click to enlarge. View maps, and new traffic patterns that are, (and are NOT) being proposed to protect our local neighborhood roads. Loss of natural habitat, displaced wildlife, noise pollution, drainage issues, water quality and waterways at risk due to the proposed land use. • Review Letters and Traffic Impact Studies, along with Engineering Reviews, submitted by the Developers. Find Village 35 breaking news along with media coverage. This helps us a lot. We need to have all our neighbors involved. Awareness is key.